Hillary Clinton’s recent misstep—praising former president Ronald Reagan and Nancy Reagan for helping to initiate a “national conversation” about the AIDS epidemic in the late 1980s, despite the fact that the record states otherwise—has led to a public outcry, and now the Democratic nominee hopeful is attempting to assuage voters with a full public apology. 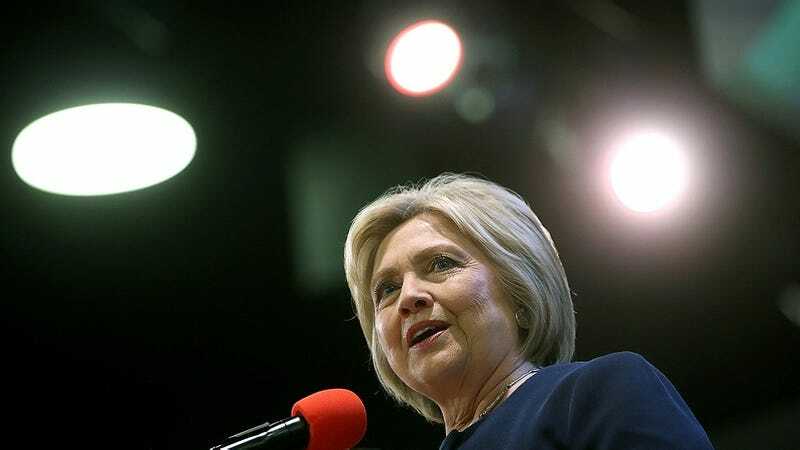 On March 12, Clinton posted a lengthy statement on Medium which emphasized her error and shifted the focus to the countless members of the LGBT community, as well as allies, who were responsible for bringing AIDS and its devastating consequences into the global spotlight, ending with her own promise to continue the fight against HIV/AIDS, which roughly 36.9 million live with worldwide and claims 1.2 million people per year, according to the World Health Organization’s stats from 2013. In the first paragraph, Clinton more than acknowledged that she was wrong by misrepresenting the role of the Reagans during the zenith of the crisis—she took full accountability for it. She then affirmed that the “Reagans did not start a national conversation about HIV and AIDS” and acknowledged the real heroes of the AIDS crisis: “brave lesbian, gay, bisexual, and transgender people” and activists from groups like ACT UP and Gay Men’s Health Crisis, who inserted the AIDS epidemic into public discourse back in the 1980s and 1990s. “The AIDS crisis in America began as a quiet, deadly epidemic. Because of discrimination and disregard, it remained that way for far too long. When many in positions of power turned a blind eye, it was groups like ACT UP, Gay Men’s Health Crisis and others that came forward to shatter the silence — because as they reminded us again and again, Silence = Death. They organized and marched, held die-ins on the steps of city halls and vigils in the streets. They fought alongside a few courageous voices in Washington, like U.S. Representative Henry Waxman, who spoke out from the floor of Congress. Clinton then cited her own work in the battle against both the AIDS epidemic and discrimination borne from it, like her effort to bring legislation for research and educational prevention into the Senate, and her work with both the Ryan White Act and PREPFAR. She ended her apology with a call to arms. Despite the fact that the statement seemed to be a genuine mea culpa, there was one thing Clinton did not touch upon: the Reagan’s outright repudiation of the disease all together. Ronald Reagan’s refused to even murmur the world AIDS (or acknowledge its general existence) until the last throes of his presidency, and Nancy Reagan’s now well-publicized and stalwart denial to help her friend, Hollywood actor Rock Hudson, weeks before his death in 1985 from the disease, were anecdotal—and unmentioned—illustrations of this. So while Clinton did correctly point out that the Reagans “didn’t start the national conversation,” they did more than that—their silence helped fuel the flames—and Clinton made no reference to it in her post. While this might be Clinton erring on the side of caution—she still has time to collect and/or salvage some votes—the omission might anger some potential (or even recently former) voters. Either way, the results have yet to be seen.